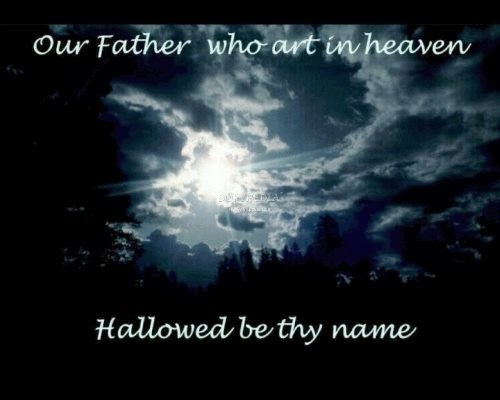 Our Father who is in Heaven, hallowed be Your name! This is a prayer most of us have prayed our entire life, but do we really know what it means? In studying this prayer many have understood the section that says “hallowed be Your name” to mean “Your name is holy” and that is correct, God’s name is holy. But this particular verse means much more than this. To read it from a Hebrew perspective it reads “let Your name be sanctified” or “let Your name be set-apart”. It is the first petition of this model prayer which, when prayed correctly actually lasts about an hour (yes that is correct). So how do “we” sanctify God’s name? We sanctify God’s name by our behavior, by the way we live. On this earth, our God is judged by His representatives, us. In Hebrew there are two phrases which discusses whether a person’s life brings glory or dishonor to God. They are Kiddush Hashem and Hilul Hashem. Kiddush Hashem, translated “sanctification of the name” means to perform good deeds that bring glory to the name of God. Hilul Hashem when translated means the exact opposite, it means to perform deeds that profane God’s name. So the next time you pray, “Our Father, who is in Heaven, hallowed be Your name” remember that you are actually praying that the life you live bring honor and glory to our God. Petition 3: let Your desire be done on earth as it is in heaven. God's Church, The body of Christ, the Temple of God is not to tear down and destroy people, but rather it is to build and uplift. There are times when we as ministers have to chastise, correct or rebuke sometimes creating an open wound (spiritually), but we should never leave that wound open to fester and get infected. 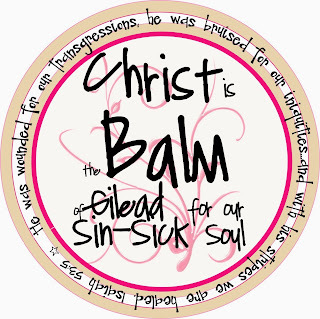 Rather we, as ministers of grace are to apply the healing balm of Gilead, the salve and ointment of God to bring healing to that wound and set that part of the body on the road to recovery and good spiritual health. All that we do should be done through the leading and unction of the Holy Spirit of God and it should be done for one purpose, to bring honor and glory to our God and to assist in the building His kingdom. 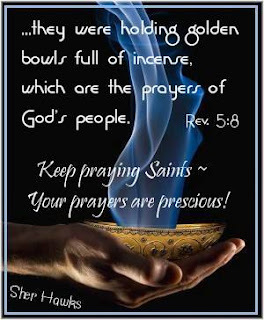 Rev 5:8 Now when He had taken the scroll, the four living creatures and the twenty-four elders fell down before the Lamb, each having a harp, and golden bowls full of incense, which are the prayers of the saints. 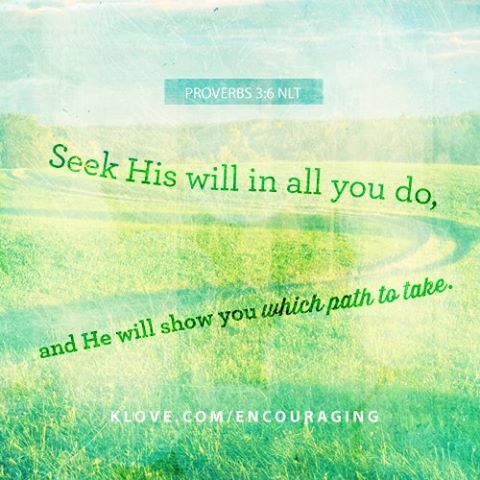 So many of us NEVER seek God's will in anything. We do what we want to do and expect for Him to sanction it. That is not what His Word tells us to do. 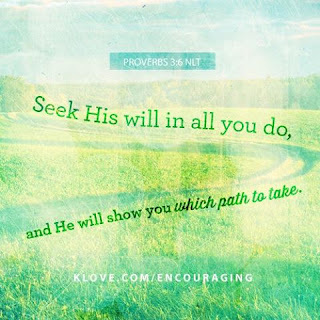 Our dreams, aspirations, desires and everything else should be put on the altar of God as you seek His will concerning it BEFORE you make the move and pursue those things. Some People Use Pepper Instead! Hence we must get our heart right--if we would speak words that are Christlike. A bitter heart cannot give out sweet words--nor can an impure heart speak wholesome, pure words. Most people talk too much--they chatter on forever. Silence is far better than idle, sinful, or foolish speech. We have suggestions in the New Testament as to the kind of speech that is worthy of a redeemed life. Paul has some very plain words on the subject: "Do not let any unwholesome talk come out of your mouths, but only what is helpful for building others up according to their needs, that it may impart grace to the hearers." Ephesians 4:29. That is, no word should be spoken which does not . . .
or put some touch of beauty upon the life. A Christian's words should "impart grace to the hearers." That is, they should impart blessing in some way. We all know people whose words have this quality. They are not always exhorting, preaching, or talking religiously--and yet we never speak with them without being the better for it. Their simplest words do us good. They give cheer, courage, and hope. We feel braver and stronger after a little conversation with them, even after a moment's greeting on the street. In another place Paul says, "Let your conversation be always full of grace, seasoned with salt, so that you may know how to answer everyone." Colossians 4:6. This means graceful speech, not merely as to its manner--but also as to its quality. It must be speech such as Christ Himself would use if He were in our place, and we know that every word of His was a holy seed. Our speech is to be "full of grace"--it is to be true, reverent, helpful, inspiring. 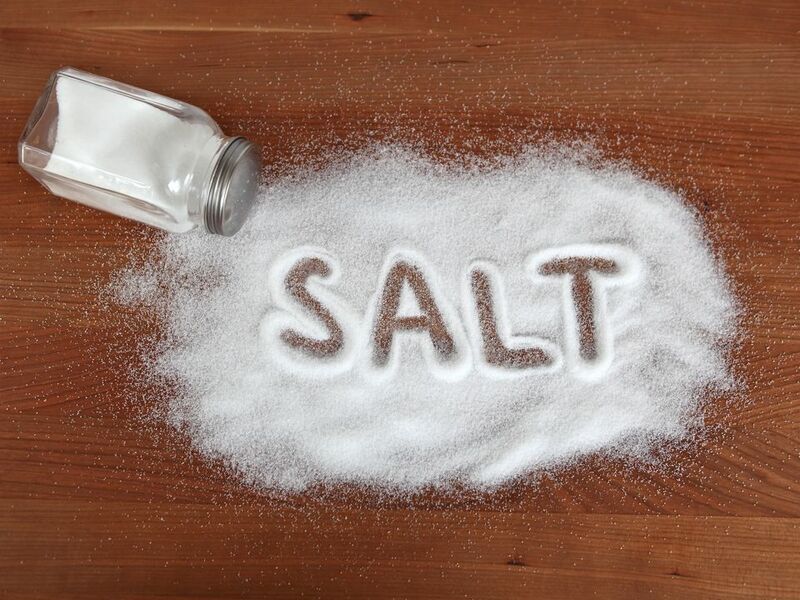 Our speech should be "seasoned with salt," that is, it should be pure and clean. Salt preserves from decay and putridity. The Christian's speech should have in it the divine quality of holiness, and its effect should be cleansing and purifying. 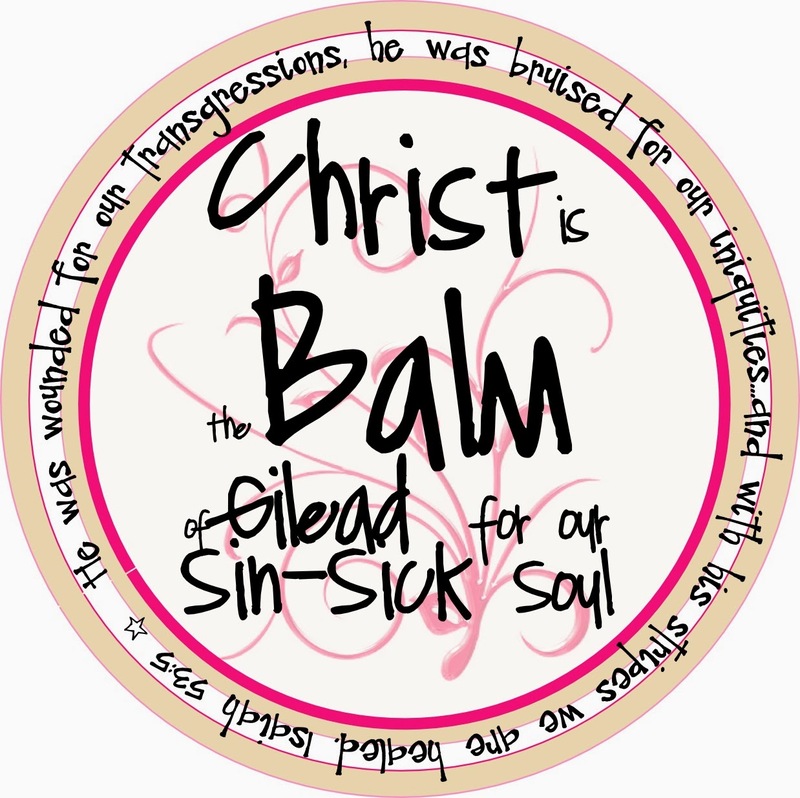 Someone speaks of the words of Jesus as a handful of spices cast into this world's bitter waters to sweeten them. Every Christian's words should have like influence in society, wherever they are spoken. The seasoning is important--our speech is to be "seasoned with salt." Love is salt. Truth is salt. Our speech should be always kindly. It should be without bitterness, without malice, without unlovingness in any form. The seasoning should be salt. Some people use pepper instead--and pepper is sharp, biting, pungent. Their speech is full of sarcasm, of censure, of bitterness, of words that hurt and burn. This is not Christlike speech. We should never be content to talk even five minutes with another, without saying at least a word or two that may do good, that may give a helpful impulse or kindle an upward aspiration. The Christian life is all about loving God with our entire being. • Wanting to test Jesus, a certain lawyer asked Him what the greatest commandment was in the Law. Jesus’ answer was simple. He said to love the Lord with all your heart, mind, soul, and strength (Matt. 22:34-40). These simple yet profound words have motivated the church ever since. • The gospel is so much more than a pre-paid ticket to heaven. It is a love relationship with God. 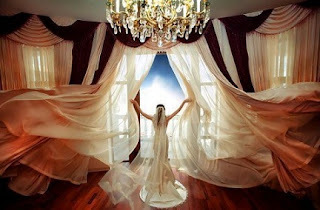 • The first commandment is about pursuing Jesus as a Bridegroom and loving Him as a bride. The imagery, or "Foreshadow", (From Natural to Spiritual), continues likening the neck to the tower of David with rows of stones. 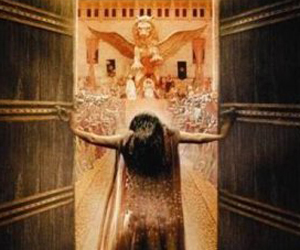 There are two "Types" that rise before us here, the "tower of David" and the "rows of stones". The mention of David in a passage that speaks of love and praise should immediately bring to our minds what God said about David, "I have found David, the son of Jesse, a man after My heart, who will do all my will" (A type of Christ).. 1 Sam. 13:14; Acts 13:22. 1. The first tower mentioned in the Bible was the tower of Babel which the sons of Noah built in rebellion against God's command to go forth and fill the earth. Desiring to stay in one location the children of Noah began to build a tower of refuge that would reach up to heaven. God did not approve of their actions, confused their languages and scattered them. Gen. 11:1-9. 2. King Asa built towers to fortify Judah and King Uzziah built towers at the various gates in the wall to fortify Israel against enemy attack. It was the custom of the watchmen to stand in these towers to listen and watch for enemy approach and to basically guard the City. These towers were built when both men were walking in fear and obedience to the Lord, and He prospered their undertakings. 1Kings 15:23; 2Chron. 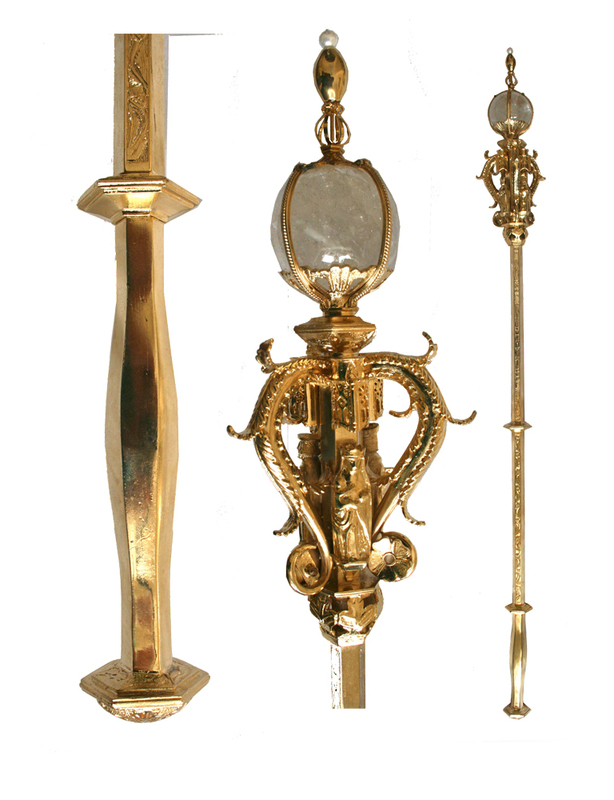 26:9,10,15; 2Kings 9:17. 3. 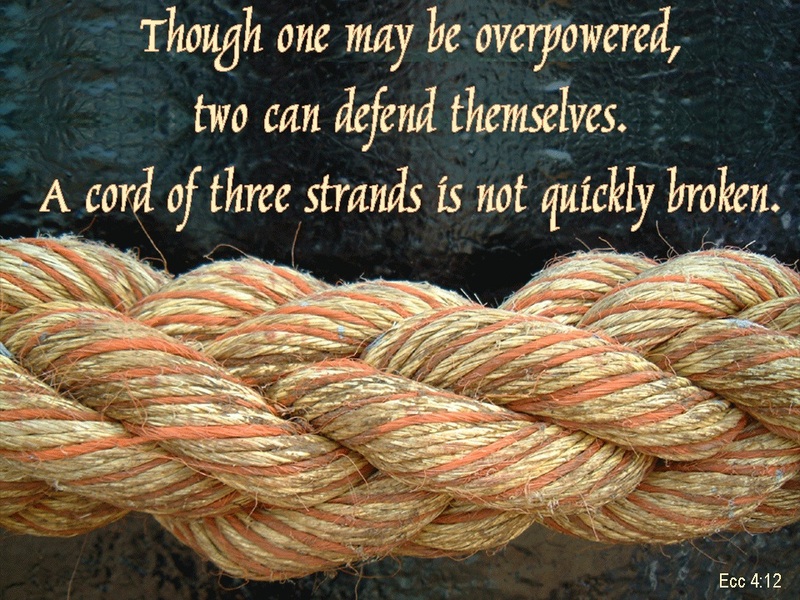 David speaks of the Lord as being a "refuge" and a "tower of strength against the enemy" Psa. 61:3. "He is a tower of deliverance to His King" 2Sam. 22:51, Solomon proclaims, "The name of the Lord is a strong tower; the righteous runs into it and is safe". Prov. 18:10. 4. When Israel was about to go into Babylonian captivity, Jeremiah and Ezekiel prophesied the destruction of Israel, specifically the towers of the cities. Jere. 31:38; Ezk. 26:4. this besides signifying the "literal" destruction of the fortifications of God's people also signified that God would no longer be the strength, refuge and protection of a rebellious people. 5. When Nehemiah and the Jews returned from Babylonian exile, the first thing they did under the direction of God's Spirit toward the restoration of Jerusalem was to rebuild the walls and the towers. The towers were literally rebuilt, but along with them returned the protection and watch care of the Lord to His exiled people. Neh. 3:1,25-27. 6. The records of the prophets end with this promise which is a Capstone Scripture in understanding what is meant in the Song of Solomon concerning the bride's neck: "And as for you, tower of the flock, hill of the daughter of Zion, to you it will come ...even the former dominion (Rain) will come, the Kingdom of the daughter of Jerusalem. "Micah 4:8. Look at the 2 and 3 days. !! (1000 yrs.) is as a day...to God. What is a Capstone Scripture??? 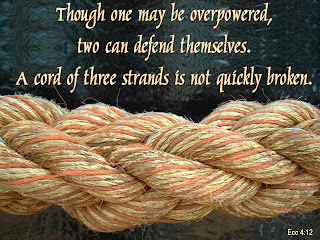 This verse is the key verse, out of all the verses mentioning the words neck and tower, because it is connected to the type of Christ. He is the tower of the Flock, the Kingdom of the daughter of Jerusalem, who's neck we speak of here. 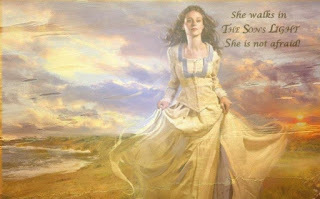 The bride’s neck, the daughter of Jerusalem, led by the tower of the Flock is a verse that brings the key words together. 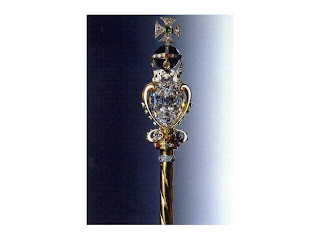 Est 5:2 So it was, when the king saw Queen Esther standing in the court, that she found favor in his sight, and the king held out to Esther the golden scepter that was in his hand. Then Esther went near and touched the top of the scepter. 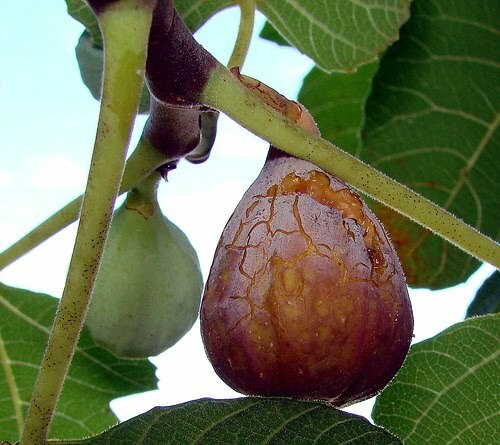 What do you see when you read the Song of Songs? Do you see romance, love, sensuality? What is the first thing that comes to your mind as you are reading? Are you thinking about natural, human love or are you thinking of God's love? Although what will come to most people's mind is human love, that is NOT the reason God allowed the Song of Songs to be a part of the Bible. 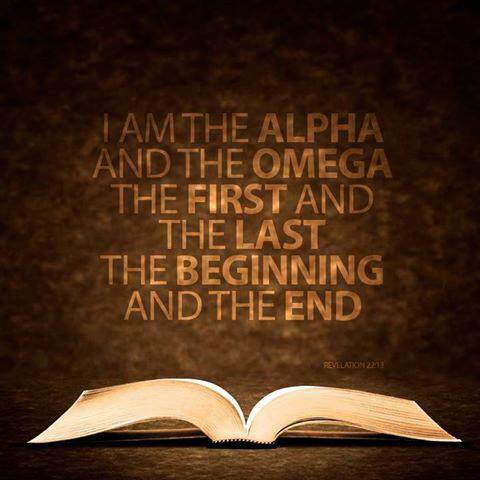 The Bible is God's Word and everything in it points to Him. When reading the Song of Songs we must change our mindset and our way of thinking. When reading this book we must see Christ and Christ alone! The Song of Songs is the Messiah's Love Song to His Beloved, those who have truly accepted Him as their Lord and Savior and are seeking a closer, more intimate relationship with Him. The Song of Songs reveals the heart of God as He opens Himself up and reveals His feelings for His Beloved. To only see this book as an expression of human love is to do it a vital injustice. Join me as we begin this journey through the Love Song of our Messiah as our hearts begin to cry out, "Let Him kiss me with the kisses of His mouth!" Matthew 25:4 - 4 But the wise ones took olive oil in flasks with their lamps. 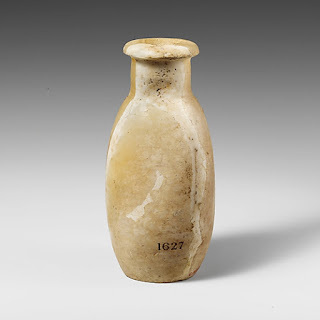 Below is a copy of an alabaster flask from Jesus's day. 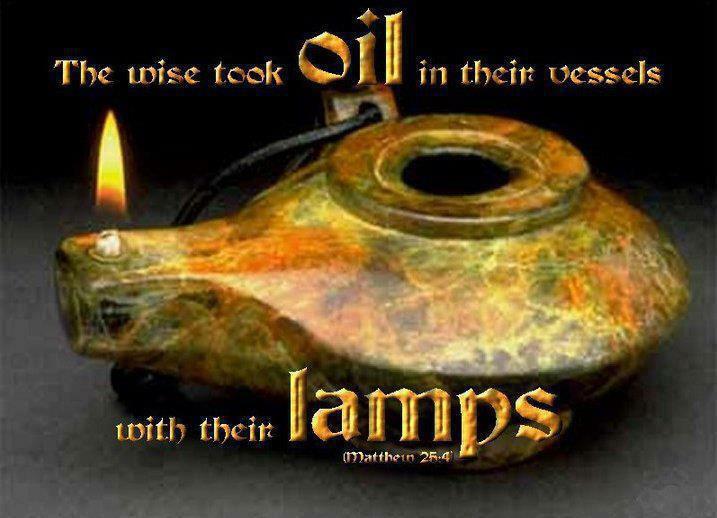 It is so vitally important for us as believers in Christ to carry extra oil with us at all times. This is an automatic thing for the Bride of Christ to do, but as Matthew 25 reveals, it is also a must for the bridesmaids as well. 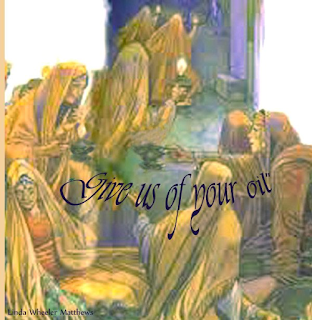 That extra flask of oil determines whether you gain entrance to the wedding of the Lamb or be cast into outer darkness. As the world becomes darker, the light of the Church should shine brighter and brighter. Matthew 5:14“You are the light of the world. 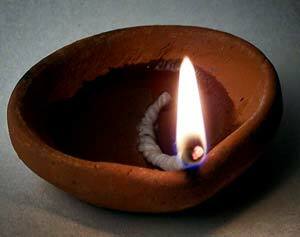 A city set on a hill cannot be hidden; 15 nor does anyone light a lamp and put it under a basket, but on the lampstand, and it gives light to all who are in the house. 16 “Let your light shine before men in such a way that they may see your good works, and glorify your Father who is in heaven. Psalm 45:1 To the chief musician upon Shoshannim, by the sons of Korah, a Maskil, a song of loves. Understanding Shoshannim - Shoshannim means "lilies," i.e. beautiful virgins. The beauty of the innocent, pure, lily like "virgins" (Psa_45:9; Psa_45:14) is spiritual. 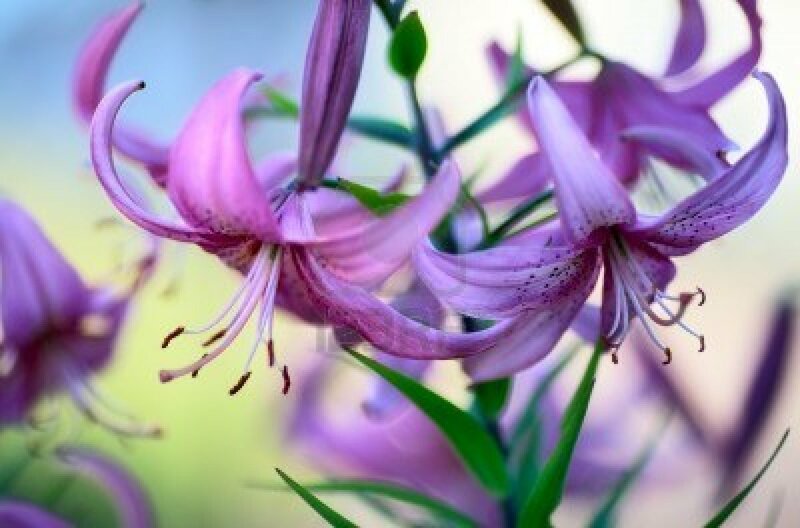 The lily is the enigmatic expression for loveliness. 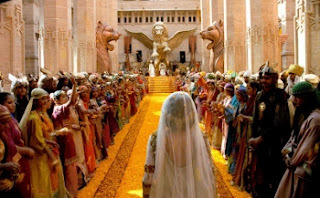 One of the symbols connected to the Bride of Christ is the lily as will be seen as we study the journey of the Shulamite Bride. The sons of Korah - Korhites under David had the chief place in keeping the tabernacle doors (1 Chronicles 6:32-37), and in the service of worship (1 Chronicles 9:19; 9:33). Eleven psalms are inscribed with their name as the authors (Psalm 42; Psalm 44; Psalm 45; Psalm 46; Psalm 47; Psalm 48; Psalm 49; Psalm 84; Psalm 85; Psalm 87; Psalm 88; compare 2Ch_20:19). sn: Korah himself died a horrible death because of his uprising against the man of God. His descendants, however, were some of David's chief men in the temple service. Maschil means Instruction. 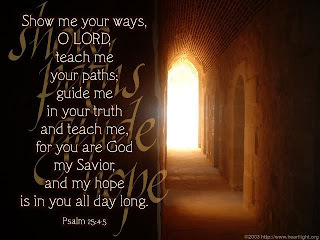 This means that this is a teaching Psalm and that God has within it a message for us to understand. A song of loves. “Loves” = Yedidoth. “a song of great love” Solomon was called ידידיה, Yedidyah, which means beloved of the Lord, 2 Samuel 12:25. The use of this word ירידות, yedidoth, or loves, should be understood to be referring to the mutual love between a husband and wife, i.e. Christ and His bride. 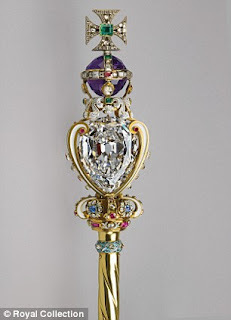 Esther 5:2 So it was, when the king saw Queen Esther standing in the court, that she found favor in his sight, and the king held out to Esther the golden scepter that was in his hand. Then Esther went near and touched the top of the scepter. Not anyone can approach the King on His throne! But those who are His, those who walk according to His standards as has found favor in His sight, can approach Him anytime day or night without fear of perishing! Hebrews 1:8 But to the Son He says: "Your throne, O God, is forever and ever; A scepter of righteousness is the scepter of Your kingdom. Psalm 45:6 Your throne, O God, is forever and ever; A scepter of righteousness is the scepter of Your kingdom. Show me Your Paths O Lord! 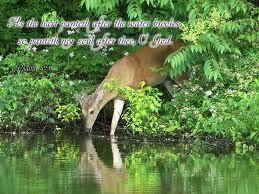 Psalms 42:1 As the deer pants after the water brook, so pants my soul for You. You alone oh Lord are my hearts desire and I long to worship You! Becoming the desire of the Beloved! Stay tuned for some exciting posts on learning how to become The Shulamite!